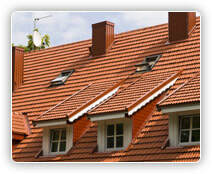 Tile roofing company offering tile roofing installation and tile roof repair. - Ewell Construction Inc.
Tile roofing is your best option if you are looking for a material with a long life span, that requires low maintenance, good fire protection and a material that is resistant to rot and insect penetration. As one of the top tile roofing companies in the roofing industry, Ewell Construction has been providing tile roofing services to the South Bay area for over 20 years. 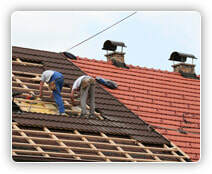 We pride ourselves on our extensive knowledge of tile roofing and our expert workmanship. ​It is very important that tile roofing is done correctly or large problems can arise and with Ewell Construction we provide all our customers with a warranty and a promise that if any problems arise with our work (within our warranty period) we will fix them for free. If you’re not sure what work you will need done we will inspect your roof for free and provide you with a consultation. 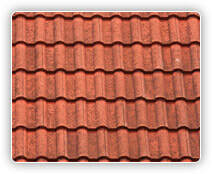 Our extensive knowledge on tile roofing and design will help you in making your decision. If any problem arises with our work we will fix it for free, within our warranty period. You do not have to worry about yearly maintenance because tile roofing requires low maintenance and it will provide good fire protection as an added bonus. 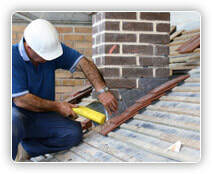 Our workers are all reliable, professional tile roofing contractors who provide only the highest quality of work.